Father's Day Craft for Kids: Following in Daddy's Footsteps! Father’s Day Craft for Kids: Following in Daddy’s Footsteps! 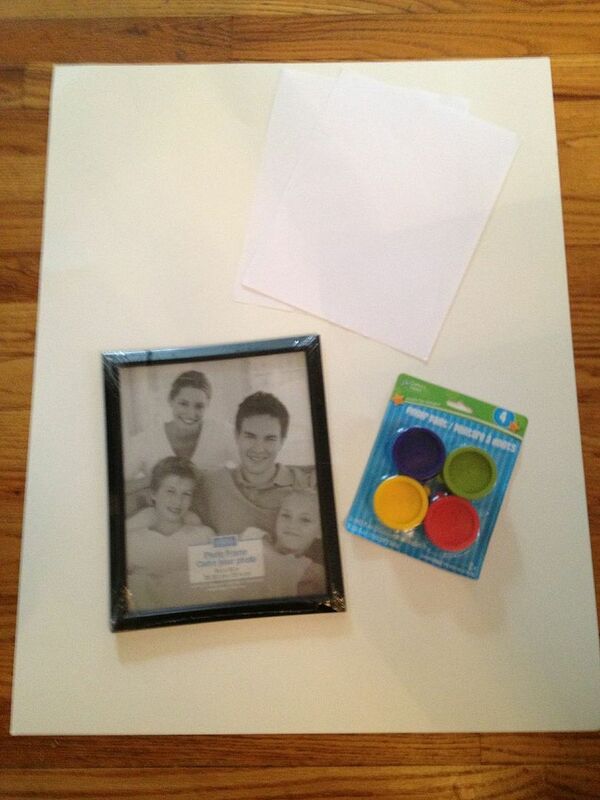 This Father’s Day craft for kids contains affiliate links. We recommend only what we love. Father’s Day is quickly approaching and with it brings a special time where we honor dads and all they do for us! Many people would agree that dads can often be tough to buy for, so this year, why not give a gift from the heart that can be enjoyed for years to come? 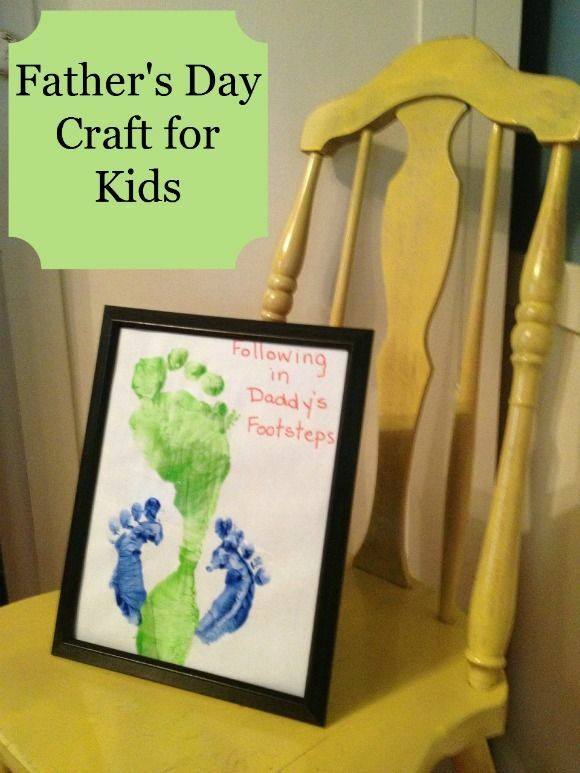 This year, gather the kiddos and make a Following in Daddy’s Footsteps Craft for kids! It is not only simple to make, but a frugal craft as well. Plus, it can easily be preserved and saved for years to come. To make your own Father’s Day Following in Daddy’s Footsteps Craft for kids, take a peek below. Chances are, you already have many of these materials around the home. If not, a quick trip to the dollar store is all you need. This is a gift that truly gives from the heart, and will show dads just how much they mean. Take a look! Supplies needed for this easy Father’s Day craft for kids. Construction paper in your choice of color. Light colors are best. Finger paints. You will need one color for each child. You are going to need to clue dad in a little bit when making this craft for kids, as you will either need his foot or his shoe. Apply paint to the bottom of either dad’s foot or shoe. Press on your paper and hold to leave an imprint. Allow this print to dry for one hour, then repeat with the oldest child, using a different color. You are going to make the next footprint directly on top of the adult print. Allow to dry. Repeat using a different color, on the next oldest child. Allow to dry. Repeat these steps until you have worked your way down to the youngest child. Be sure you are allowing plenty of dry time in between and pressing each print firmly on top of the other. When you are finished, the print of each child will have been made on dad’s print. You can then take your marker and date this piece of artwork. You may also title it, “We Want to Follow in Daddy’s Footsteps” or “We are Following in Daddy’s Footsteps.” Or, you can create your own saying that accentuates the theme of this project! Once everything is totally dry and complete, press between a picture frame. You can always find one at your local dollar store or thrift store. You may even have a spare one around the house. This is a nice way to finish the project and protect it from any damage. The finished product is so precious, and sure to freeze your little ones in time for a moment. This is a beautiful keepsake that would even make a nice gift for a Godfather or Grandfather! Kids will enjoy the tickle of the paint on their feet and creating something special for dad. You will enjoy that it is budget friendly and captures their little prints on paper forever! So this Father’s Day, make a Following in Daddy’s Footsteps craft for kids print and give a unique gift he is sure to enjoy. Looking for other Father’s day crafts for kids ideas? Check our Pinterest board as well as our latest father’s day craft for kids: heart bouquet. This is really cute and so easy! I’d love to try it on a Canvas as well, or maybe on a piece of wood to keep the gift really “masculine.” Thanks for the idea! Super cute craft, and one that I could actually pull off with the kids I think. Thanks for the fun and easy idea! What a great idea! I’ve done the girls first year hand/foot prints for daddy, but never anything with his foot on it, too! Mary recently posted..I Love My Kids….I Really Do…Does anyone have a coupon for THIS? As dad of twin sons… that is a winner.. I say mom’s go for it..
Oh I love this!!! What a creative, long lasting memory idea! Checking this out from share your stuff Tuesday! What a great idea! It is always so endearing to how the feet have grown when yo see the print again a few years from now…. Thanks for sharing!! Thank you! What a darling idea. And great to keep for a memory book in the future. Great post! Elizabeth recently posted..Spring Skirts in 45 Minutes! Adorable! Really makes a great gift. This bezel runs on the raised polished diver’s scale and four barrels. In online watch forums like Watchfreeks and My – Wristwatch Forum, participants are most interested in enjoying the many diverse watch styles in the marketplace. as you trek along through jungle, mountain, or desert terrain. Nice memorable craft that is cheap and easy to make! is witty, keep up tthe god work!